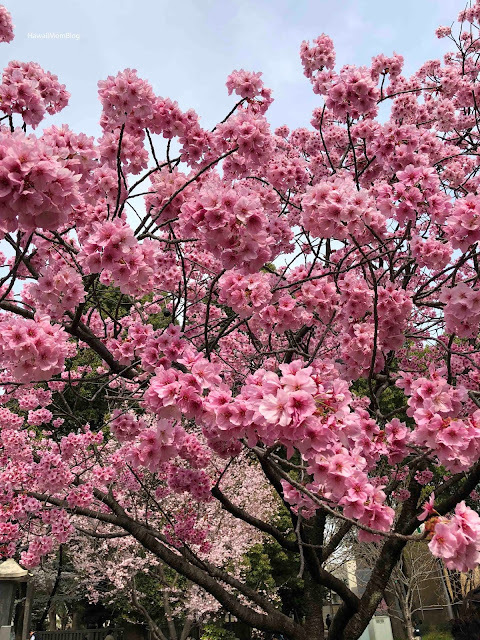 During our trip to Tokyo, we found ourselves there right in the peak of cherry blossom season, so we knew a visit to Ueno Park was a must. 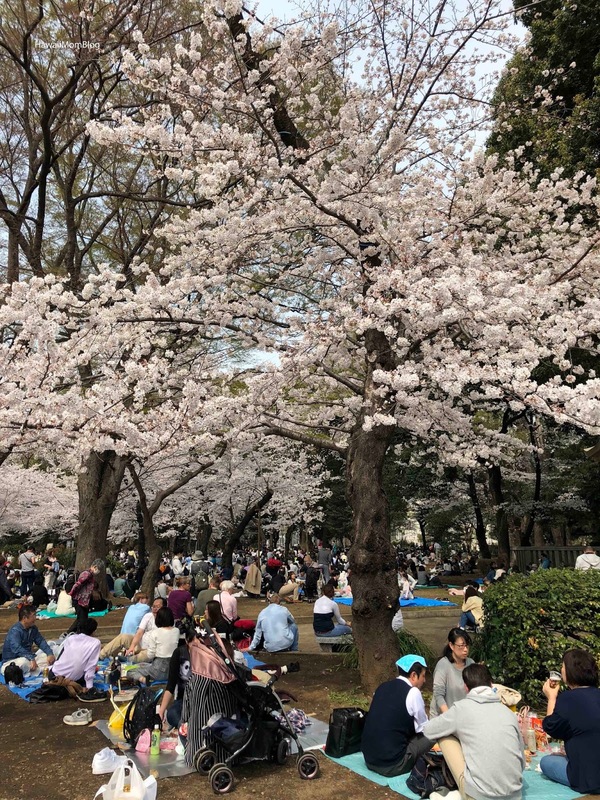 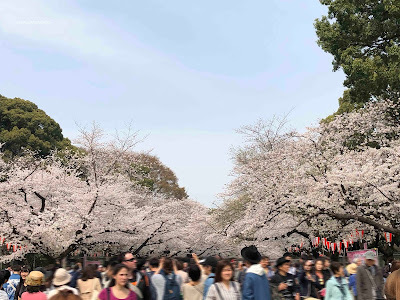 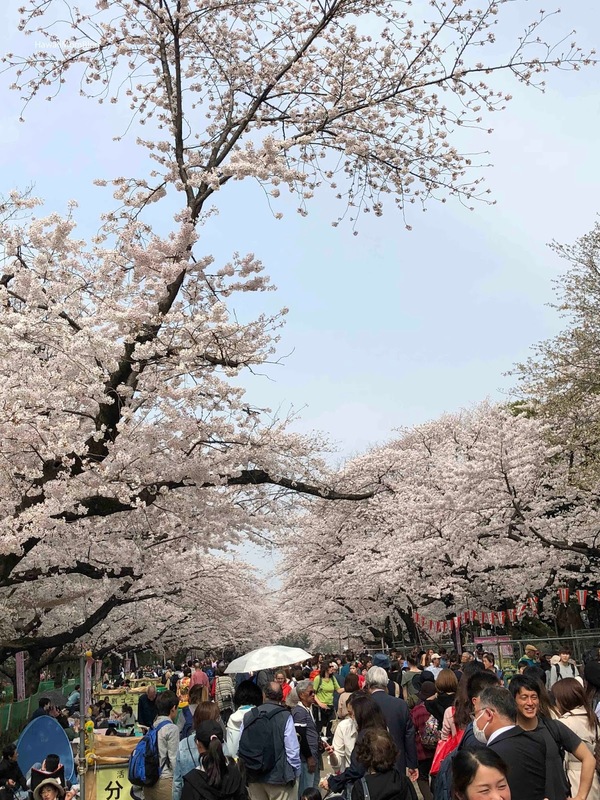 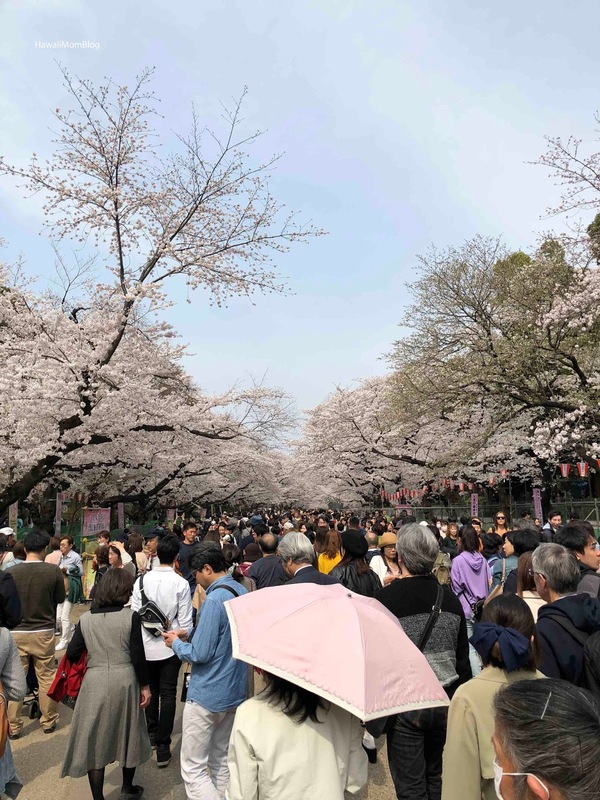 As expected, it was very crowded, with throngs of people walking the pathways, snapping photos, and picnicking under the blooms. 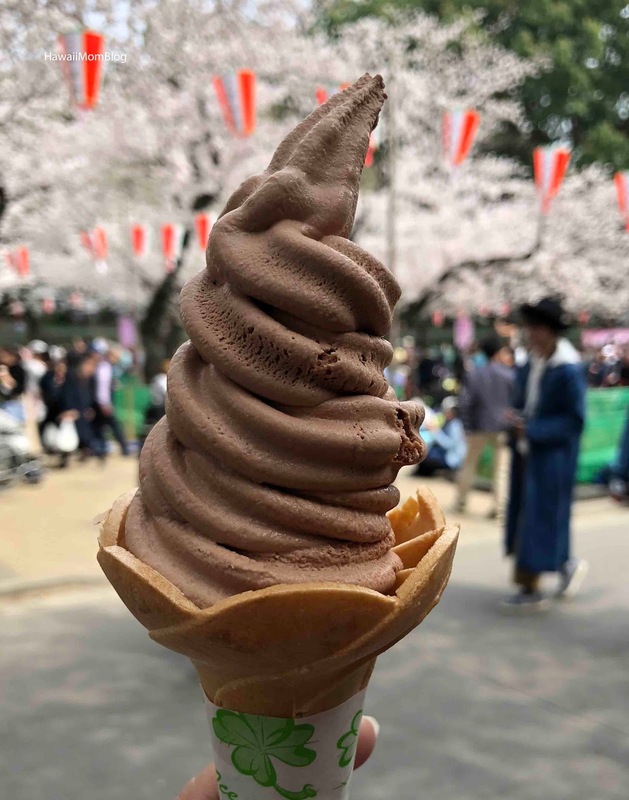 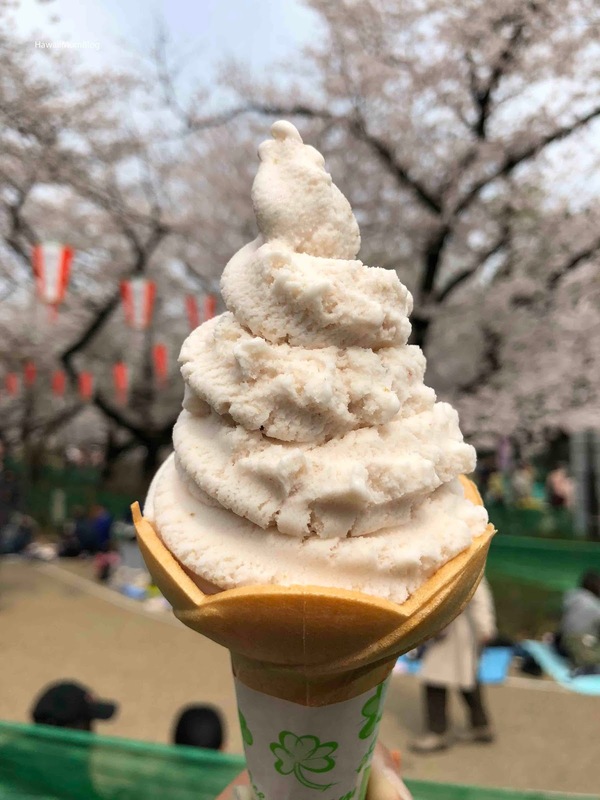 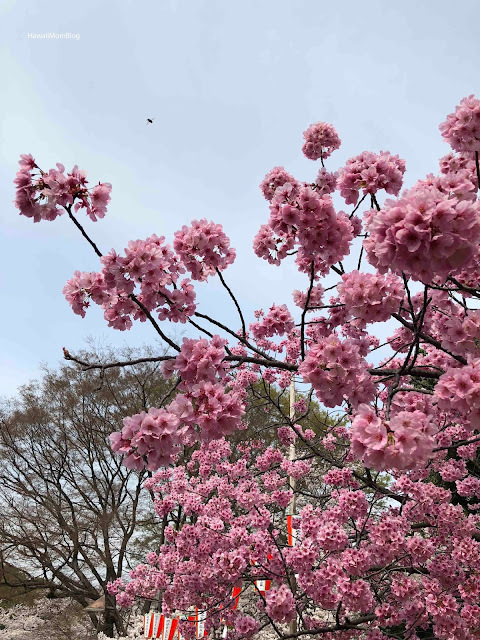 Since we had already been to a couple of other parks to visit the cherry blossoms, and my kids were not interested in seeing anymore, I bribed them with ice cream! 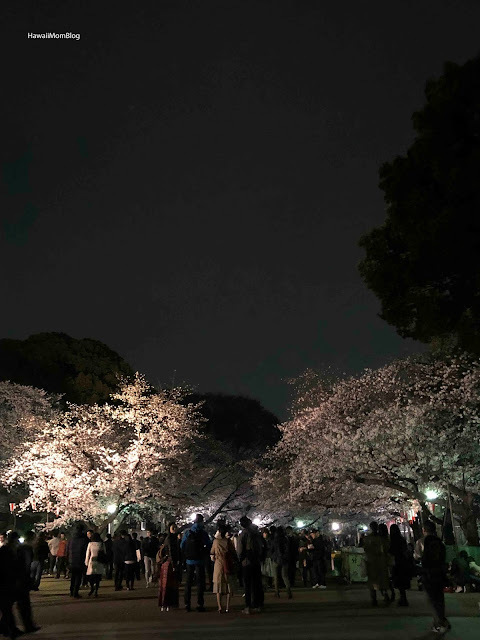 We later returned at night (after bribing the kids with baked treats) to see the cherry blossoms all lit up, but that evening the lanterns were not on. I'm not sure if we were late, but we made the most of it, as they still looked pretty. 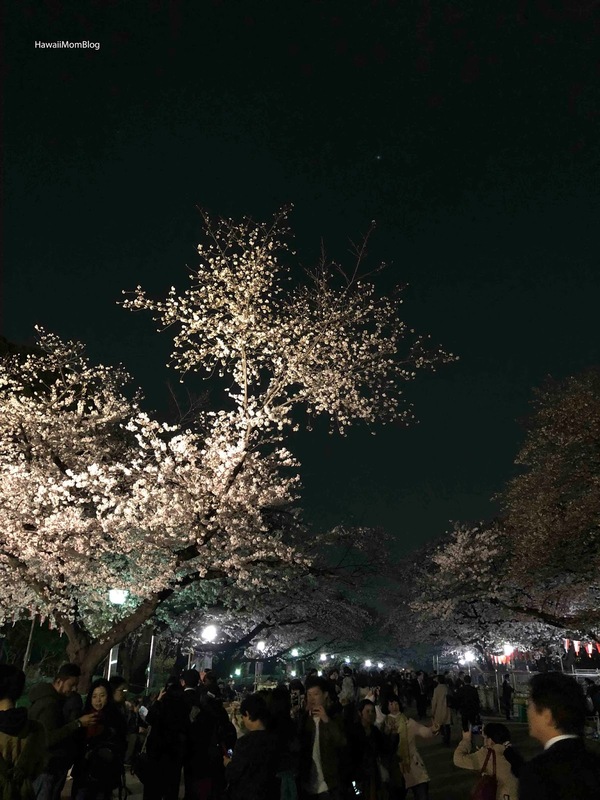 It was still very crowded at night, so no matter what time of day you go during cherry blossom season, expect crowds!